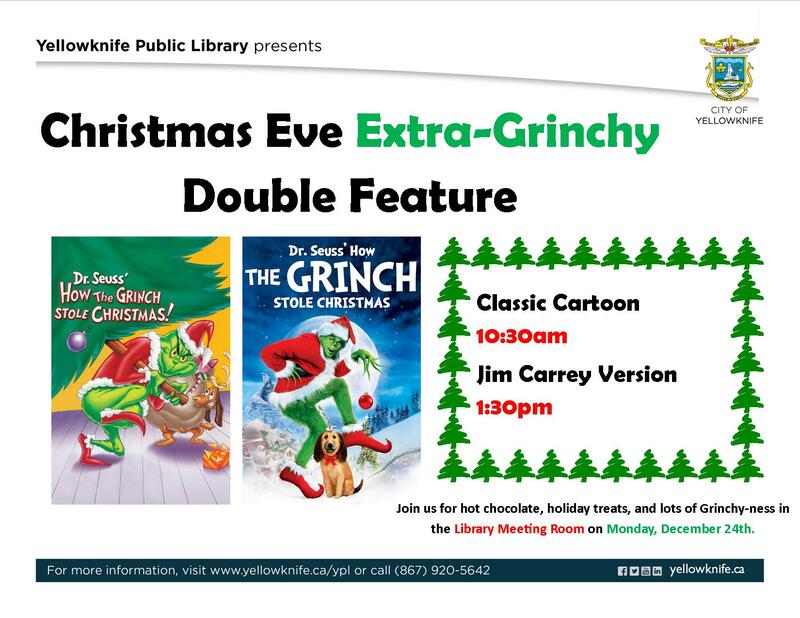 Join us at the library for a Christmas Eve Extra-Grinchy double feature. On Monday, December 24th we’ll be screening the classic cartoon version of How the Grinch Stole Christmas at 10:30am and then the Jim Carrey version at 1:30pm. Come on by for hot chocolate, holiday treats, and lots of Grinch-filled fun in the Library Meeting Room.